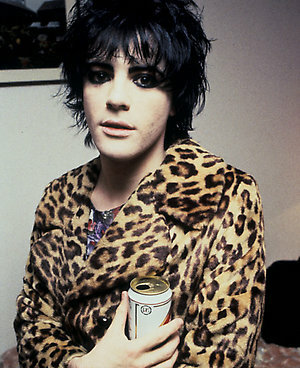 Richey Edwards, the missing guitarist and lyricist with Manic Street Preachers has legally been declared “Presumed Dead” almost 14 years after he dissapeared in February 1995. A band spokesperson confirmed in a statement that Edwards’ family have obtained a court order which officially changes his legal status. Edwards was last seen in London on February 1 1995 and his car was subsequently found near the Severn bridge which is a common site for suicides. Despite an extensive police search a body was never found. The band and their fans have always held hope that the guitarist would one day return with rumoured sightings of Edwards in places such as Newport, The Canary Islands, and a market in Goa. This weeks announcement is highly significant as both his parents and bandmates have refused to confirm his death. In the Uk a missing person can be declared dead after 7 years but his parents have previously refused to take this option until now. The bands spokesperson Terri Hall said that the decision was taken by Edwards parents Graham and Sherri Edwards in an effort to try to move on: “This is a hugely emotional decision for Richey’s parents and the band. It is the parents’ choice and the band is happy to go with what the parents decide is best. The Edwards family lawyer has stressed that the familys change of heart was prompted by a need to address his legal situation. David Ellis told Walesonline.co.uk that their change of heart reflected “an acceptance that his affairs have got to be sorted” and it was “not the same as an acceptance that he is dead”. The Manic Street Preachers have continued to pay royalties to Edwards for the three albums they released when he was in the band – Generation Terrorists, Gold Against The Soul and The Holy Bible. Everything Must Go, the bands most successful record released in the wake of his dissapearence in 1996 also features his lyrics. Edwards parents have now been granted control of his £455,990 estate. The Manics had previously announced that their next album will feature lyrics entirely written by Richey Edwards and left behind when he dissapeared.